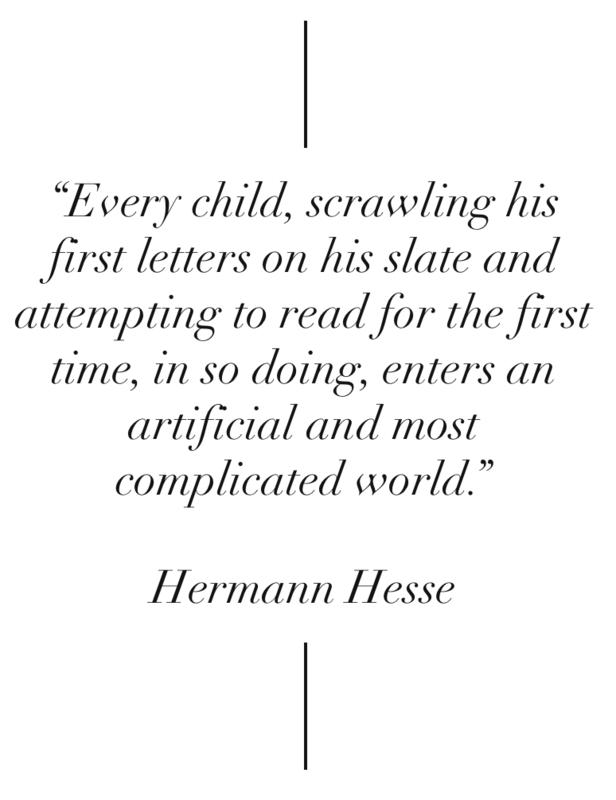 I am profoundly struck by a persistent image in my mind that - for me - both clarifies and reflects the challenges of learning to read and write. It is an image of a child moving from skill to skill, actively and with resilience. At times, there are spurts of growth. At other times, it can be hard going. It is an image in which the accumulation of carefully scaffolded experiences turns the child into a reader and a writer. It is an image in which there is significant care taken so that the learner is apprenticed into new practices and the learner is able to reach closure on old skills so as to build new ones. It is an image in which the child encounters new words and propositions, and the child can actively manipulate, refine and process the knowledge encoded in our words. It is a precarious image. At any stage, the learning can become befuddling and the learner will be unable to progress. It is a progressive image. It is one in which the learner gains a control of the fundamentals, is initiated into different practices with language, and learns to use such learning actively and independently. It is important that the learner engages in the literacy, gradually comes to see the point, and works deliberately and meaningfully with suitable time spent thinking about the content, contexts and form of messages. The learner is encouraged to visualise, notice patterns and think critically.